சுயநிர்ணய உரிமை தமிழர்களின் அடிப்படை உரிமை – ஐ.நா மனித உரிமை ஆணையர் செய்த் அல் ஹூசைனின் அறிக்கைக்கு பதிலளித்து பேசியது மே பதினேழு இயக்கம். We are ethinic eelam tamils and living in our traditional homeland. The whole conflict in srilanka started just because the srilankan state rejected our identity and trying to persecute all tamils including tamils of indian origin. Srilanka disenfranchised half a million Tamils from their nationality and voting rights has diminished tamils democratic power in Srilankan parliament from 33% to 20%. And sending eelam tamils out of srilanka as refugees of atleast another million tamils helped Sinhalese srilankan state to consolidate its majoritarian position in Srilanka. And the current news of tamil refugees stranded in Indonesia is the highest evidence of the oppression on tamils and the failure of the so-called new Srilankan state. . Not to forget that 99% Srilankan Military and Top executives of the nation is 100% ethnic Sinhalese. With this background and thriving Sinhala buddist racism srilanka however its institutional changes and adaptation of international treaties can never able to deliver democratic atmosphere to eelam tamils. 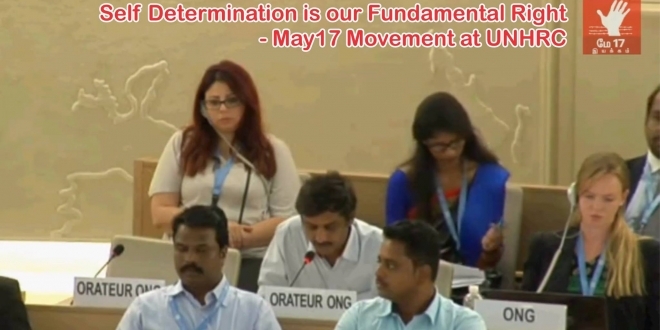 Because the sinhala chavanism and racism is not adequately addressed in the resolution adapted in UNHRC or the political solution which is center of the conflict is not addressed. With majority Sinhala holding on to the key positions of the state and with lack of power over the land, cultural and political rights by the victims , this present process in the international process will only encourage the racism and will put eelam tamils into the structural genocide. 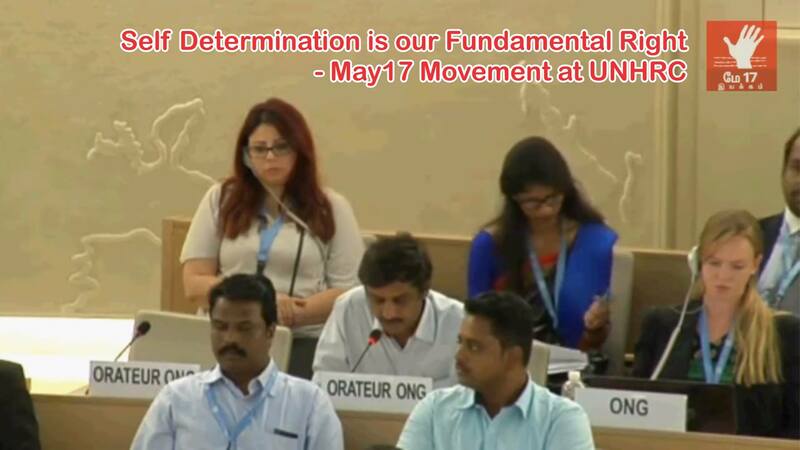 With Right to self determination and independence as a fundamental human right similar to peoples of Bosnia, Timor, south Sudan , we people of eelam tamils repeatedly calling on the international community to adhere to the international human right fundamentals and not to heed the racial, discriminatory and genocidal Sinahla state establishment. We put forward our concern based on the strong protest by the eelam tamils at the ground against the domestic mechanism, happening everyday despite intimidation by the security personal. 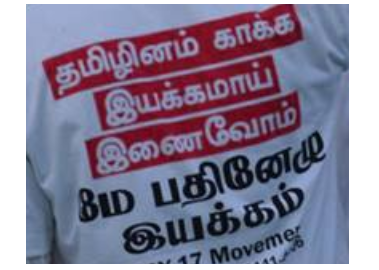 In the last two days hundreds of eelam tamil victims and activists protesting in tamil homeland. 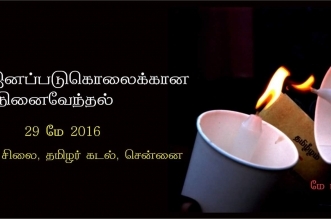 We would like to recall Assistant secretary General of Human rights’ statement in the morning session that UNHRC is not neutral but impartial and are standing with victims, we are looking forward to the council to listen to the Resolution adopted by the Northern provincial council , a legal and elected body by the victims , to start an international independent investigation on Srilanka.